” Annanaam Pathaye Namo…” thus goes the Rudram, hailing Lord Parameswara as the sole & Supreme Power who grants even the basic needs of the Universe such as food. Based on the Vedic proclamation, we conduct Annabhishekam in the Tamil month of Aipasi ( Oct- Nov) by offering cooked rice to The Lord at all Shiva Temples on the Full moon Day (Powrnami) . It was on 6th November,the function was conducted this year. Freshly cooked rice is poured over the Shiva Linga as Abhishekam. This is done on daily basis in Chidambaram Nataraja Temple to Chandramouleeswara. Offering cooked rice is considered very auspicious during the month of Aipasi as each piece of the cooked rice is treated as a Lingam and to have dharshan on this day is said to bring prosperity. It will be a magnanimous dharshan to witness this event at places like Thanjavur Brahadeeswara Temple and Gangaikonda Cholapuram where the Siva Linga is huge. At Gangai Konda Cholapuram one can see the offering made right from 9 am on this day. Since the Linaga Murthi is tall, it will take several hours to complete the abhishekam. Devotees will be thrilled to see the Lord getting covered fully in cooked rice. It is then followed by alankaram with flowers. In many places, vegetables are also offered with the prayers in the lips for rich harvest in the following years as well. There are places in the rural areas where the locals are either not aware of the significance of the event or unable to conduct it for lack of resources. It is for such Temples, Ardhra Foundation comes forward to conduct the abhishekam with the involvement of the local people. It was planned to do it this year at Manakkal near Thiruvarur. Sri Agastheeswara Temple and Sri Seshapureeswara Swami Temple are the two old Temples of this place where this event had to be conducted. It also happened to be the Gurupuja Day of Saint Thirumular , the author of 10th Thirumurai, Thirumandiram. Hence the Foundation members went straight to Thiruvavaduthurai where the saint delivered 3000 Hymns . The Temple wore a festive look as many devotees had arrived from various parts of the state. We moved to Sathanur, about 3 km from Thiruvavaduthurai where the Sidha from Kailash entered into the dead body of Mulan who died because of snake bite. On becoming Thirumular the Sage proceeded to Thiruvavaduthurai and and sang the verses. 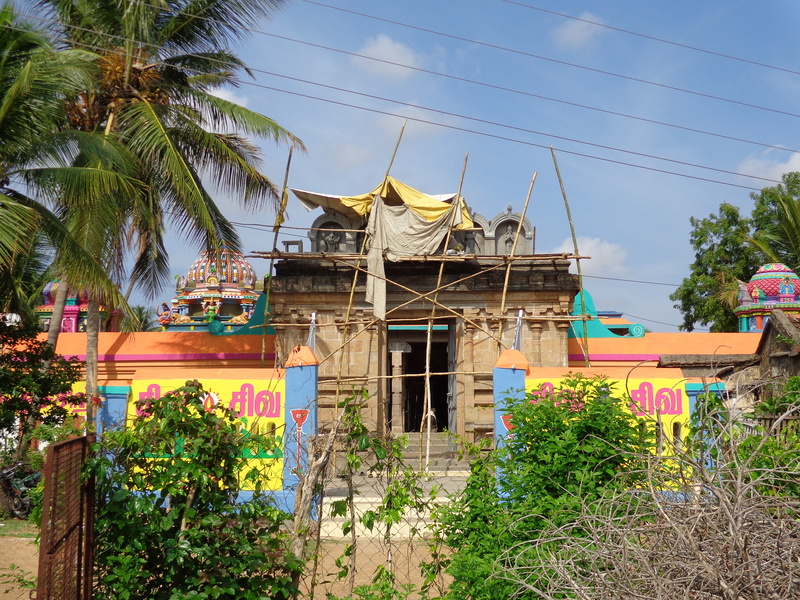 Devotees have constructed a Temple exclusively for Thirumular few years back. They observe the Gurupuja Day on Aipasi Aswathi by conducting Homam and Abhishekam for Thirumular. We considered ourselves fortunate to participate in the function. We had to rush to Manakkal to start preparing for Annabhishekam. It was already 4 pm and we started cooking rice without losing time further. But we were worried whether we would be able to prepare cooked ice for both Temples on time. It was at this stage the miracle happened. A huge vessel full of cooked rice arrived and offered to us to be used for abhishekam. We came to know that a devotee had arranged cooked rice for some Temples of this region and the volunteers had distributed the same to places where the event was conducted. We were speechless on the arrival of hot rice,cooked at a nearby Temple. We started annabishekam to the Murthi by chanting Sri Rudram and Thevaram verses. Both Agastheeswara and Sowndhara Nayaki were richly decorated with new vastrams and garlands. Similarly, the abhishekam was conducted at Seshapureeswara Swami Temple nearby. We considered it as a great blessing showered on us and the participation of locals was encouraging. This entry was posted in Temple Rituals. Bookmark the permalink.